Participants see Flip the Fleet as a comprehensive and trusted source of EV data and information but believe that it can play an even bigger role in increasing EV ownership. Credibility is paramount; it has to reflect the good news and the bad in issues affecting EVs in New Zealand. The poll was sent to 798 participants in Flip the Fleet on 25 May 2018. There were 375 responses by 29 May, including 293 who provided detailed comments and answers to 6 other questions. 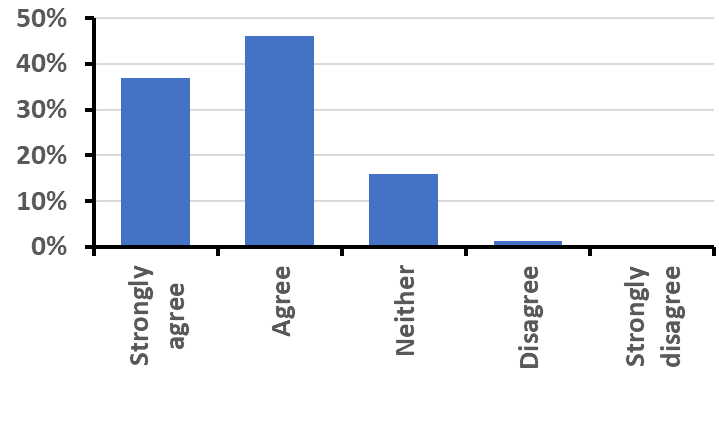 The large majority (83%) either “agreed” or “strongly agreed” that Flip the Fleet would accelerate EV uptake; 16% “neither agreed nor disagreed”; 1% “disagreed”; and none “strongly disagreed” (Fig. 1). 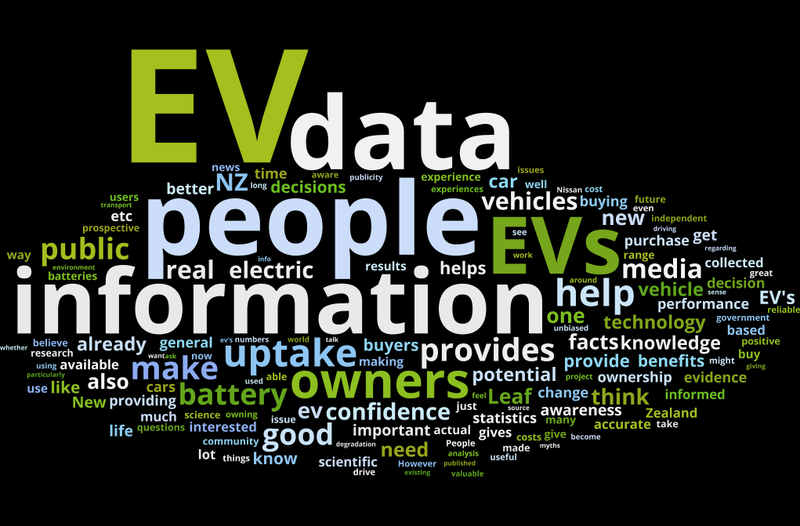 Fig.1 Responses of 398 participants to the proposition that Flip the Fleet will accelerate EV uptake in New Zealand, May 2018. The monthly Flip the Fleet survey is usually about you and your EV; this month, we made it all about us. Thank you for your support and suggestions on how to increase our voltage in the EV market. Your responses will be used by Flip the Fleet’s Dima Ivanov and Danial Myall in October when they present two papers on Flip the Fleet to the world’s largest annual four-day EV conference in Kobe, Japan (EVS 31 www.evs31.org – so your collective opinion will count at the hub of international EV manufacture. We promise we’ll revert to a simple, five-second question next month. Our survey aimed to define what you like and dislike about Flip the Fleet and how we can improve our services to you and prospective EV buyers. Over the coming months we will endeavour to put your advice into action by improving the software and communication of your information, starting with a new performance indicator in this month’s reports: a calculation of the number of pine trees required to sequester the same amount of CO2 you avoid in tailpipe emissions each month. We are overwhelmed by your responses – there are far more insights here than we can do justice to in just one post. We will concentrate on your answers to the main question about whether Flip the Fleet will make a difference, and drip-feed responses to other questions in future posts. Here’s a word cloud of the comments you provided to the main question, using the ‘Wordle’ package: the larger the font, the more times that word appeared in your testimony (Fig. 2). You can see at a glance that our project is EV and people focussed. You referred to information, data, evidence, facts and knowledge as key parts of our purpose and messaging. This is promoting awareness and supporting decision-making for accelerating EV uptake. As one respondent put it: “It provides independent data regarding EVs without pressure from salesmen.” “The program is data and science-based and therefore has credibility with members of the public who are considering purchasing an EV,” said another. And another: “The project cuts through the myths and misinformation about EVs.” There was recurring comment about the value of local New Zealand evidence – that EVs fit into our own place and lives. Figure 2: A word cloud of the most frequent 100 words used in your responses to the main question of the survey. The larger the word, the more often you mentioned it. Similarly, last month’s survey on charging systems revealed congestion, difficulty with access and faults in some areas – it was negative news, but to be resolved, it needs to be in the public arena and backed up by solid data. Flip the Fleet’s data is provided by New Zealand EV owners for New Zealand EV owners. It’s not glossy-brochure data from overseas car markets; it’s dependable, home grown feedback. Some participants particularly like our mix of numbers and personal testimony from the 1-click surveys. “Partly you are making [EVs] more visible, but also you are providing a scientific approach that will give some people more confidence to switch over to electric. Your combination of personal testimony from the surveys and media spokespeople and the charts and figures is a powerful mix,” said a respondent. While your testimony encourages us to keep going, it is mainly valuable for sharpening our work to accelerate EV uptake. Suggestions included polling recent vehicle purchasers who didn’t buy an EV and an app to automatically download data to Flip the Fleet every month. And to present data as a healthy salad rather than a seven-course banquet. “I think you can run the risk of alienating people if you give them too much data as they think that it is a tricky and complicated.” You also want us to be more active in the social networking arenas like Facebook and Twitter. We agree, the heart is all-important. We were delighted by comments that Flip the Fleet gives EV owners a sense of community – if you meet another EV owner on the street, you might even discuss the latest Flip the Fleet poll. Others referred to using the data in advocacy arguments with colleagues and friends. There are increasing instances in Facebook where individuals have filtered the data in our community’s database and shown the results to others in a particular debate. Go for it! The more you show the evidence to others, the faster we’ll get the job done. We believe that owning an EV is something to be proud of and hope Flip the Fleet’s figures support that. In many ways, you have told us that we’re on the right track. Thanks, that keeps us keeping on. Please help us by using the data in Facebook and Twitter posts … even send them to Trump if you like! Invite your fellow-EV club members, or friends and colleagues who have an EV to sign-up to Flip the Fleet at flipthefleet.org. We are nearly 900 sign-ups so far, but by the time you slice and dice the sample to look at regional, seasonal, or EV model differences in performance, we end up losing statistical power to look for patterns. The more the merrier and the stronger our collective voice will be. Is Flip the Fleet preaching to the converted?